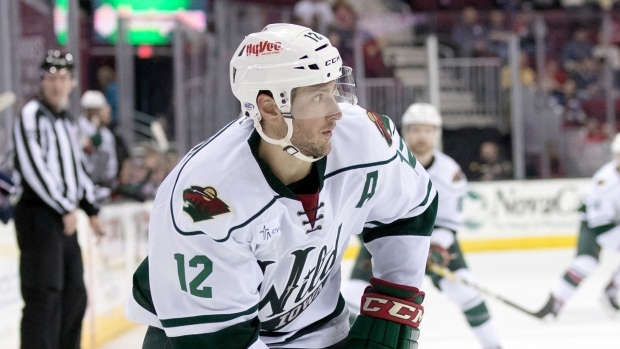 ST. PAUL, Minn. — The Minnesota Wild have re-signed centre Pat Cannone (kuh-NOH-nee) to a one-year, two-way contract. Cannone made his NHL debut last season for the Wild and appeared in three games. The 30-year-old spent most of the season in the AHL, registering nine goals and a team-leading 29 assists in 73 games for Iowa. In 421 career AHL games for three teams, Cannone has 89 goals and 152 assists with a plus-54 rating. The deal, which was done on Tuesday, will give Cannone a $650,000 salary while he's in the NHL and $225,000 in the AHL.